← Weekend Update, PVC News and More! He and his group, comprised of two longtime collaborators – Rizan Sa’id on keyboards, and electric saz player Ali Shaker – set off on a six-week Sublime Frequencies tour with label-mates Group Doueh. By the end of 2009, Omar had proven that his unique and charismatic delivery of Syrian electrified folkloric dabke, Iraqi choubi and Arabic shaabi had the ability to appeal to the most diverse of western audiences. His success has continued, with further tours throughout Europe, America and Australia drawing rave reviews and leaving a trail of fervor across the globe. The rise of Omar’s success has transcended the wedding halls and cassette stalls of Syria and slipped into western popular consciousness. Despite there being no shortage of musical talent in Syria, dabke and otherwise, Omar Souleyman is the first Syrian musical export to have won the hearts of westerners and Arabs alike on this scale. His trademark checkered khaffya, sunglasses and elegant jalaba are not uncommon male attire in the Arab world, but for years in the west, it is that exact image which has been excessively demonized. Perhaps one of the most striking achievements of Omar’s rise has been watching that iconic image transformed from comic book villainy to something positively regal. 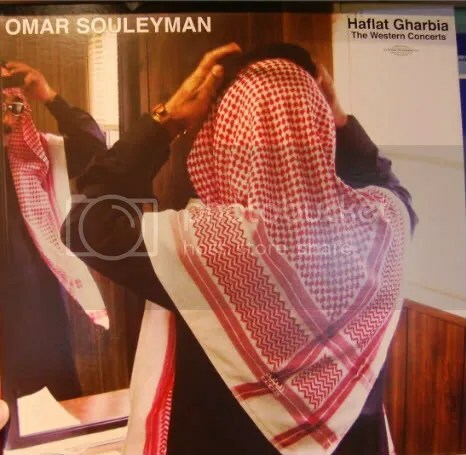 The recordings on Haflat Gharbia – The Western Concerts, Omar Souleyman’s fourth release on Sublime Frequencies, represent an hour of the best moments from the western tours between 2009 and 2011, captured in striking fidelity and intensity. 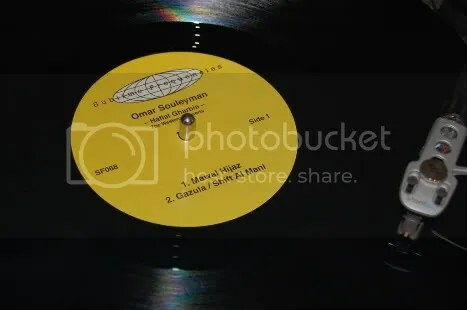 Fans will recognize familiar songs, as well as previously unreleased material presented here for the first time, in what is the biggest sounding Omar record yet. If you are already a fan, this is a not to be missed collection, and if you are unfamiliar with with his work this is as good of a place as any to start!